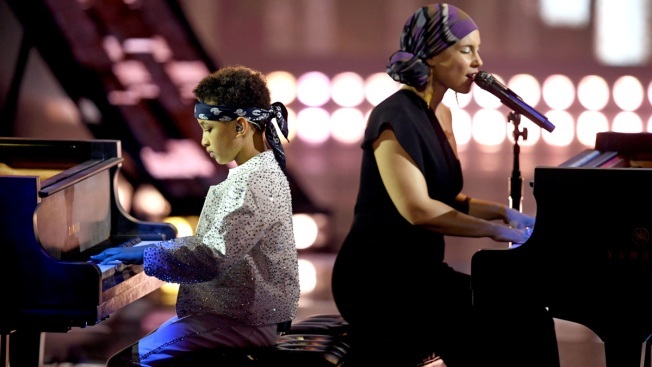 Egypt Dean played the piano while his mom sang "Raise a Man"
(L-R) Egypt Daoud Dean and Alicia Keys perform on stage at the 2019 iHeartRadio Music Awards which broadcasted live on FOX at the Microsoft Theater on March 14, 2019, in Los Angeles, California. Alicia Keys and her son, Egypt Dean stole the show at the 2019 iHeart Radio Music Awards with their performance of "Raise a Man" and "You Don't Know My Name." The singer kicked off the performance by singing the emotional song solo, before getting the crowd jazzed up by inviting her son up onstage with her. Egypt dashed up the steps to the piano in a sequined silver tracksuit that shimmered in the bright lights of the auditorium. Then, as his mom sung the soulful lyrics, Egypt delivered an impressive performance on the piano. Access is taking a look at moments you may have missed from the 2019 iHeartRadio Music Awards. 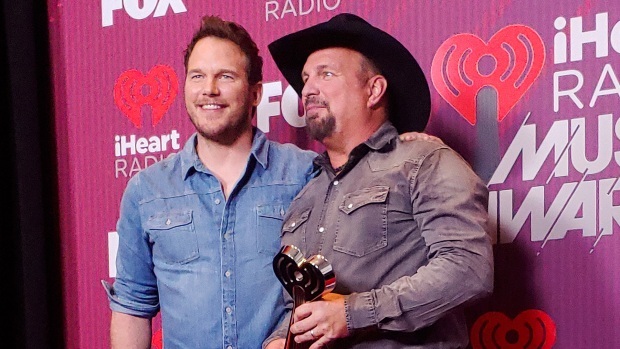 Did you know Chris Pratt was there?! Watch to find out more. As their performance drew to a close, they walked hand-in-hand to the front of the stage, where Egypt took the opportunity and flossed. All the while, his mom told the crowd, "This is such a special night tonight and we are blessed to share it with you." Earlier in the night, Egypt was chatting up "Reputation" performer Taylor Swift from the comfort of his seat. The singer doted on the little one as they watched his mom accept the iHeart Radio Innovator Award. To learn about more behind-the-scenes moments, click here!